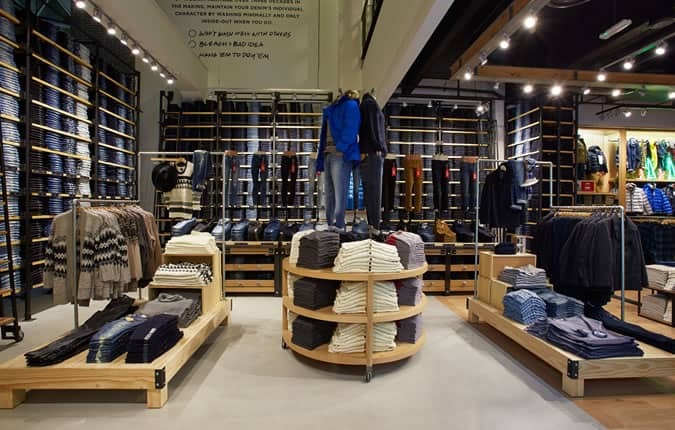 US denim brand American Eagle Outfitters has opened its first store in London’s Westfield White City. The space is the first of three UK outlets currently planned for the retailer, with further openings slated for Westfield Stratford and Bluewater. FashionBeans first reported the planned growth back in June 2014, nine years after the business first looked at expanding internationally. The brand claims to feature on-trend and affordable products, with celebrity fans including Emma Watson and Robert Pattison. The new stores are the first time the full range, which includes categories from footwear to outerwear, will be available to UK consumers. American Eagle Outfitters’ denim line offers five men’s fits in 36 washes. The Westfield store is open now, products continue to be available online. Prices start from around £16 for clothing and footwear, and £25 for denim.